Hate to take your pooch to a footpath to stroll thanks to the lack of pet-friendly spaces in the city? If your dog has been giving you the ‘what am I even doing here’ look often, it’s time to take a look at this list. Yari Road Pet Park is BMC’s gift to the doggos. 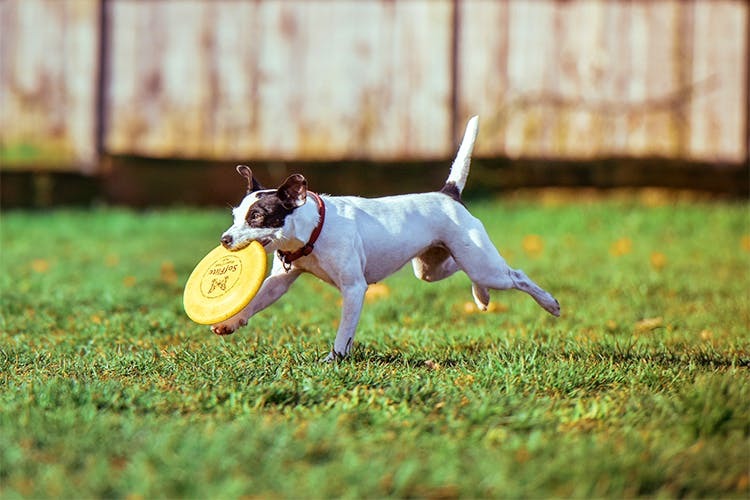 Apart from getting to play in a safe, secure and clean environment, the park also plays host to events and awareness drives.Located right besides Poseidon on Ashoka Road, it’s quite the gem for our furry friends. The beloved stretch overlooking the sea is home to a dog park where you can see dogs sniffing, getting excited at the sight of a friend dog or humans or galloping for treats. Besides having chess tables, Carter Road also has a cycling track now. Tucked away in an obscure part of Borivali, ZOIC pet parlk plays hosts to play dates and pop-ups for the dogs and their pet parents. Managed by a bunch of dog lovers, they also have a Facebook group dedicated to the park where pet parents can post queries or just mingle. Vashi may not be home to a full-fledged dog park but it has managed to accommodate a beautiful dog path where people are often seen walking their dogs off leash. In the morning it is visited by very few morning walkers, making more space for our four-legged friends. The stretch is approximately 4 km long, making it ideal for your dog’s exercise sessions. It’s situated opposite Kanchan Junga Building in Sector 11, Kopar Khairane.